Disclosure: this post contains affiliate links, which means if you click through and purchase a book, I receive a small commission. It does NOT cost you anything extra! That said – I only post things here that I genuinely like and would recommend to a close friend. More info at my disclosure page. 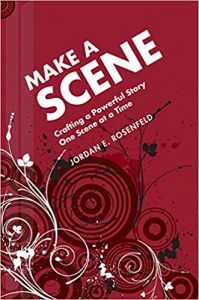 In Make a Scene, one of the best books for writers I own, author Jordan E. Rosenfeld takes you through the fundamentals of strong scene construction and explains how other essential fiction-writing techniques, such as character, plot, and dramatic tension, must function within the framework of individual scenes in order to provide substance and structure to the overall story. You’ll learn how to craft an opening scene that hooks readers and foreshadows supporting scenes; develop various scene types – from the suspenseful to the dramatic to the contemplative – that are distinct and layered; tailor character and plot around specific scene types to better convey the nuances of your storyline; create resonating climactic and final scenes that stay with readers long after they’ve finished your work. I’ve had this book for a long time, and I still refer to it when I need a bit of inspiration writing a specific scene. Rich examples drawn from contemporary novels to illustrate how various techniques work in actual stories. 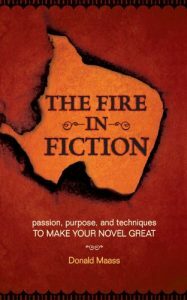 Plus, Maass introduces an original technique that any novelist can use any time, in any scene, in any novel, even on the most uninspired day…to take the most powerful experiences from your personal life and turn those experiences directly into powerful fiction. I discovered Donald Maass when I took a creative writing course years ago, and I still find his suggestions helpful. He’s specific and clear, but his advice doesn’t lead to formulaic writing. And that’s why this book is on my list of best book for writers. Another one of my favorites (and one of the best books for writers of novels), also by Donald Maass. I use it together with its accompanying workbook (see the next entry). You’ll learn to establish a powerful and sweeping sense of time and place; weave subplots into the main action for a complex, engrossing story; create larger-than-life characters that step right off the page; explore universal themes that will interest a broad audience of readers; sustain a high degree of narrative tension from start to finish; develop an inspired premise that sets your novel apart from the competition. This workbook accompanies the book of the same title (above) but you can use this workbook by itself, too. 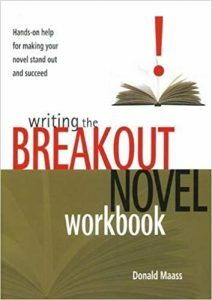 Writing the Breakout Novel Workbook presents the patented techniques and writing exercises from Maass’s popular writing workshops to offer novelists first-class instruction and practical guidance. You’ll learn to develop and strengthen aspects of your prose with sections on building plot layers; creating inner conflict; strengthening voice and point of view; discovering and heightening larger-than-life character qualities; strengthening theme, and more. 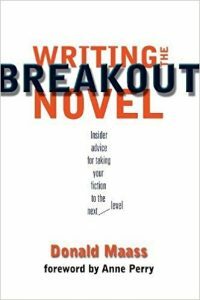 Maass also carefully dissects examples from real-life breakout novels so you’ll lean how to read and analyze fiction like a writer. I’ve used a lot of these exercises with my students, and they always say that these exercises help them discover new aspects of their story and the characters and develop it better. Don’t let the “brain science” bit in the title deter you from this book. It feels a bit gimmicky, but the writing advice is really good. This book is not about the brain, it’s about good storytelling. The vast majority of writing advice focuses on “writing well” as if it were the same as telling a great story. This is exactly where many aspiring writers fail–they strive for beautiful metaphors, authentic dialogue, and interesting characters, losing sight of the one thing that every engaging story must do: ignite the brain’s hardwired desire to learn what happens next. This book provides a clear step-by-step process to develop a compelling story with exciting characters. If you like storytelling in movies, you will love this book! John Truby is one of the most respected and sought-after story consultants in the film industry, and his students have gone on to pen some of Hollywood’s most successful films, including Sleepless in Seattle, Scream, and Shrek. The Anatomy of Story is his long-awaited first book, and it shares all of his secrets for writing a compelling script. 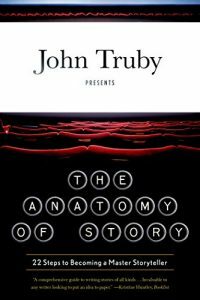 Based on the lessons in his award-winning class, Great Screenwriting, The Anatomy of Story draws on a broad range of philosophy and mythology, offering fresh techniques and insightful anecdotes alongside Truby’s own unique approach for how to build an effective, multifaceted narrative. Truby’s method for constructing a story is at once insightful and practical, focusing on the hero’s moral and emotional growth. 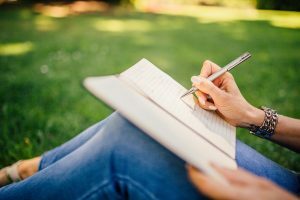 As a result, writers will dig deep within and explore their own values and worldviews in order to create an effective story. Writers will come away with an extremely precise set of tools to work with—specific, useful techniques to make the audience care about their characters, and that make their characters grow in meaningful ways. They will construct a surprising plot that is unique to their particular concept, and they will learn how to express a moral vision that can genuinely move an audience. The foundations of story that Truby lays out are so fundamental they are applicable—and essential—to all writers, from novelists and short-story writers to journalists, memoirists, and writers of narrative non-fiction. It’s very versatile, and that’s why it’s on my list of best books for writers. You don’t have to be writing a script to benefit from this book. Its focus is on good storytelling, and on ways to create compelling characters and forward-moving plot. 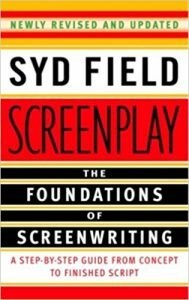 From concept to character, from opening scene to finished script, the book presents fundamental guidelines to help all screenwriters – novices and Oscar-winners – hone their craft and sell their work. Dialogue can be hard, but it can make or break the story. 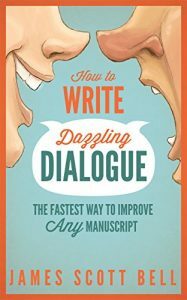 This book provides great guidance on writing dialogue. You’ll also see dialogue in action with examples from hit novels and screenplays. Want more writing advice? Click here.